As reports emerged that prosecutors are planning to seek a sentence of four to 10 months of jail time for actor Felicity Huffman for her role in the college admissions scandal, New York Representative Alexandria Ocasio-Cortez slammed the case as proof that the U.S. justice system serves as more of a “class enforcement system” than anything else. 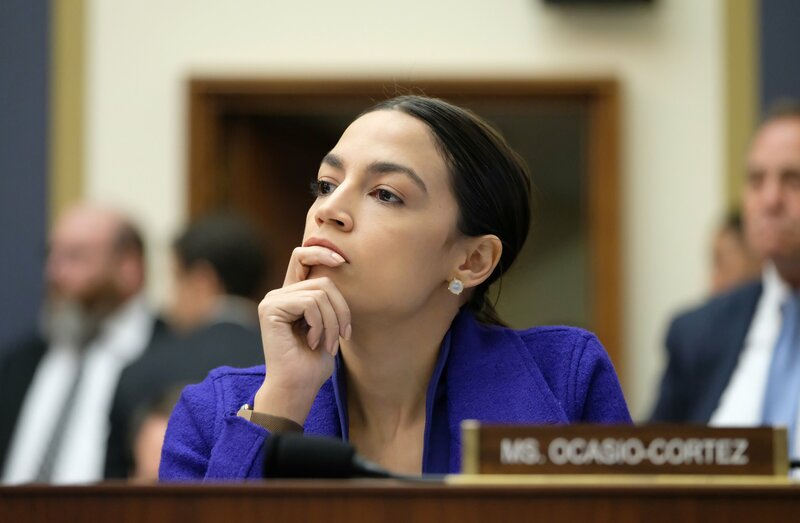 “Our country has a ‘justice’ system that criminalizes poverty [and] disproportionately targets race, yet routinely pardons large-scale crimes of wealth and privilege,” Ocasio-Cortez said in a tweet, responding to NBC’s report on the latest development in the college admissions scandal. Huffman is one of 33 parents accused of using their wealth and status to cheat standardized tests for their children and bribe college administrators to help guarantee their admission. With reports from CNN and NBC alleging that prosecutors were planning to seek four to 10 months of jail time for Huffman, in addition to allowing the television star to argue for a zero to six month range, critics including Ocasio-Cortez have said that the college admissions scandal highlights clear disparities within the U.S. justice system. Rights organizations have long called attention to racial and class disparities within the U.S. criminal justice system, which particularly affect black Americans. While black Americans and Hispanics make up approximately 32 percent of the U.S. population, they comprised 56 percent of all incarcerated people in 2015, according to the NAACP. The nation’s oldest civil rights organization states on its website that if black and Hispanic people were incarcerated at the same rates as white people, the U.S. would see prison and jail populations decline by almost 40 percent. In her book, Alexander draws links between the U.S. penal system, slavery and Jim Crow, the state laws that once oversaw the segregation of white and black people in the U.S., to the detriment of the latter. The author argues in her book that mass incarceration has “metaphorically” become “the new Jim Crow,” with Alexander asserting that the disproportionate incarceration of black people in the U.S. is simply an extension of the racist laws. He also took aim at the money bail system, which is used in nearly every U.S. state and requires people to pay high fees to secure their release from jail prior to trial, leaving those who cannot afford to pay to languish in jail, often resulting in a loss of jobs, inability to pay rent and further destitution.